The requirements described in this topic do not apply to the Windows Phone 7.1 Emulator. Windows Phone SDK 8.0 installs both the Windows Phone 8 Emulator and the Windows Phone 7.1 Emulator. Here is a quick checklist of the requirements for running the Windows Phone 8 Emulator. For more detailed info, see the subsequent sections in this topic. Second Level Address Translation (SLAT). Hardware-based Data Execution Prevention (DEP). 64-bit version of Windows 8 Pro edition or higher. Automatically configured DNS and gateway settings. In Windows, Hyper-V must be enabled and running. You have to be a member of the local Hyper-V Administrators group. 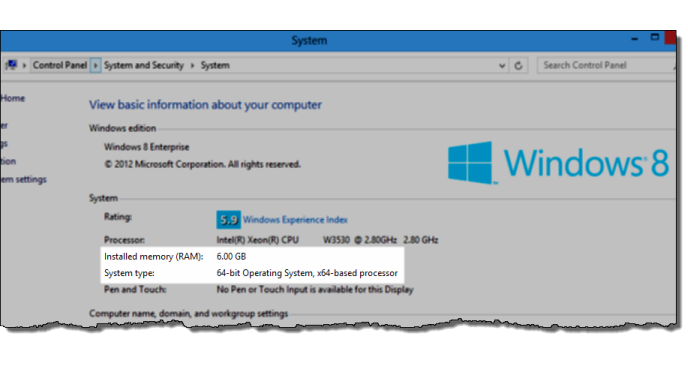 To check the BIOS requirements, see How to enable Hyper-V for the emulator for Windows Phone 8. To check requirements for RAM and Windows, in Control Panel, click System and Security, and then click System. The emulator requires DHCP because it configures itself as a separate device on the network with its own IP address. It’s not possible to configure DNS and gateway settings manually for the emulator. For more info about networking in the Windows Phone 8 Emulator, see Windows Phone Emulator for Windows Phone 8. To troubleshoot networking issues in the emulator, see the following topics. For detailed info about how to check and enable the requirements for Hyper-V, see How to enable Hyper-V for the emulator for Windows Phone 8. When your computer and BIOS settings are already configured to support Hyper-V, the setup program for the SDK enables and starts Hyper-V. Otherwise you may have to enable these requirements manually. See How to enable Hyper-V for the emulator for Windows Phone 8. Check the status of the Hyper-V Virtual Machine Management service in the Services snap-in. 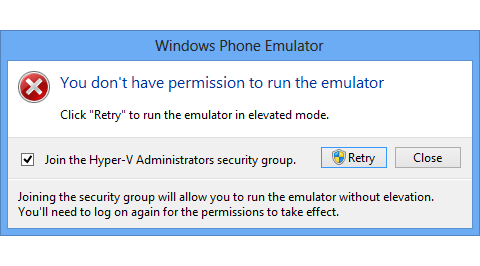 To run the Windows Phone 8 Emulator without a recurring prompt to elevate your rights, you have to be a member of the local Hyper-V Administrators group. If you are already a local administrator on the computer when you install the SDK, the setup program for the SDK adds you to the Hyper-V Administrators group. Otherwise you may have to enable this requirement manually. When you run the emulator, if you are not already a member of the Hyper-V Administrators group, you are prompted to join the group. Joining the group requires administrator rights. After you join the group, you have to log off or reboot for the change to take effect. If you try to run an app on the Windows Phone 8 Emulator while you are running Windows from a bootable VHD, the emulator typically takes several minutes to start or fails to start. When the emulator fails to start, you see the following message: App deployment failed. Please try again. This configuration is not supported. For information about related issues, see Troubleshooting the Windows Phone 8 Emulator. On the ReFS file system, the virtual hard disk files must not have the integrity bit set. The Windows Phone OS 7.1 emulator requires a DirectX 10 or later graphics card with a WDDM 1.1 or later driver. 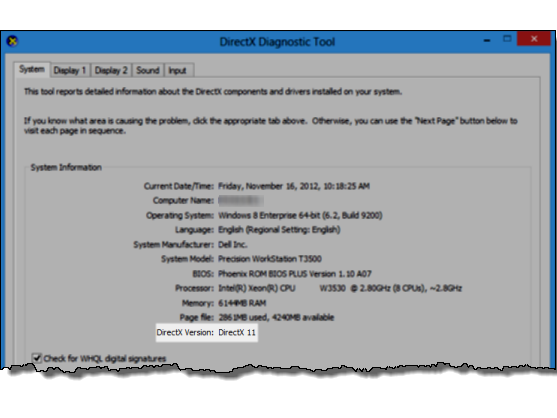 You can check whether your graphics card meets these requirements by running the DirectX Diagnostic Tool, dxdiag.exe. After you start the tool, on the System tab, check the DirectX Version. Then, on the Display tab, check the Driver Model.